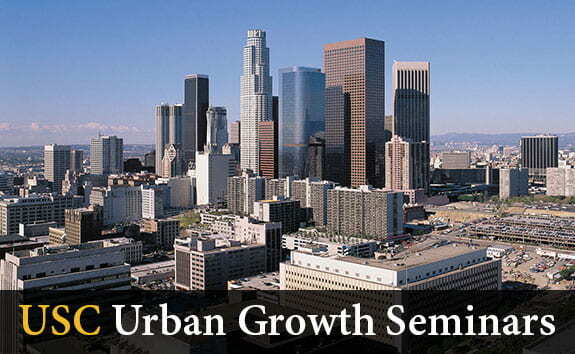 The Urban Growth Seminars are hosted by USC’s Sol Price School of Public Policy. We bring top practitioners and leading researchers to discuss innovative responses to complex urban issues. We are very excited about this semester’s slate of presenters, and hope you’ll join us! Our Urban Growth Seminars have ended for the Fall 2016 Semester. Stay tuned for the Spring 2017 schedule. The window below is connected to our YouTube channel. You can access any of our available videos by clicking “playlist” in the upper left of the window.